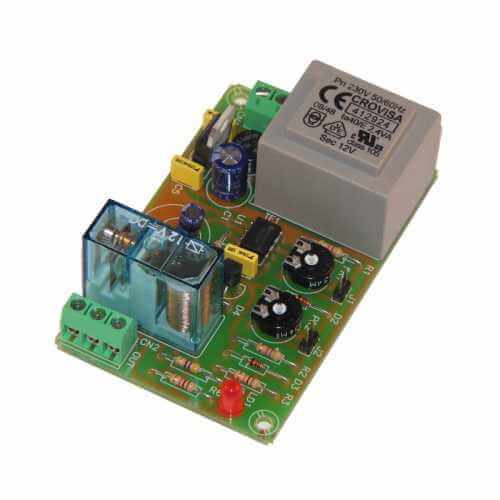 230Vac powered, 1 second to 1 minute adjustable cyclic (repeating ON-OFF-ON-OFF) timer board module with relay output allowing switching of any load up to 230Vac, 5A. Ideal for use in automation circuits, flashing or traffic lights, models, outdoor / indoor (hydroponics) crop growing, etc. 12Vdc powered versions of these boards (Order Codes CI010, CI011 & CI012) and precision versions with more flexibility (Order Code CI217 & CI218) are available.